Villeneuve-lès-Avignon is a beautiful little town just outside of Avignon itself. Situated on the northwest side of the Rhône, in the Occitane region of Provence. 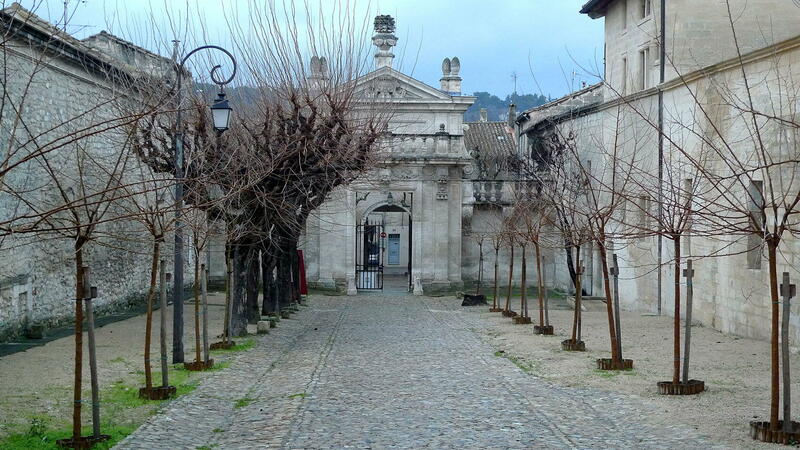 Villeneuve-lès-Avignon has a rich history and is perfect for a day trip from Avignon. The town centre is accessible by bus, bicycle or walking from Avignon over the river. On a summer day, the walk is quite beautiful. It takes around 30 minutes from Avignon. 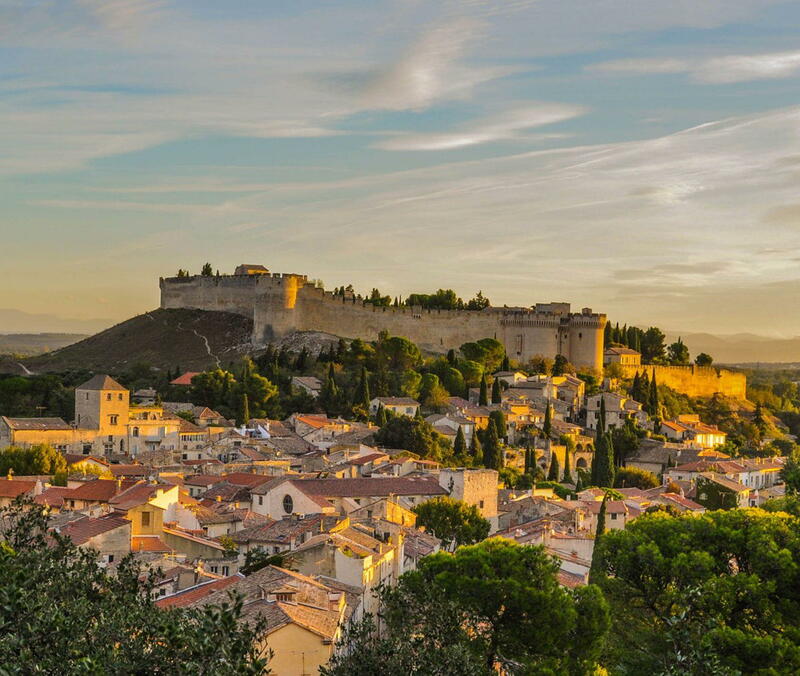 Villeneuve-lès-Avignon is only two (2) kilometres from the stone ramparts of the Papal city of Avignon. However, before the construction of the Saint-Bénézet bridge (Pont d’Avignon) in 1189 crossing the mighty Rhône River was a risky traverse. A townsite developed near the small 10th-century Abbey of Saint-André located on Mont Andaon. Although physically linked by the bridge to Avignon by the 12th century, Villeneuve-lès-Avignon built a fortified wall to protect from unwanted forays from across the river. In 1226 the Abbott requested protection from the King of France and Villeneuve-lès-Avignon was consolidated into the King’s territory. The construction of Fort Saint-André began in the 13th century, a massive fortress establishing the power of the Kingdom of France. Due to its position, the Fort played a strategic role in the region, occupied by the French military until 1792. Well worth a visit this Fort is managed by Centres des Monuments Nationaux, and suitable for all ages. Open daily, with seasonal changes in hours. 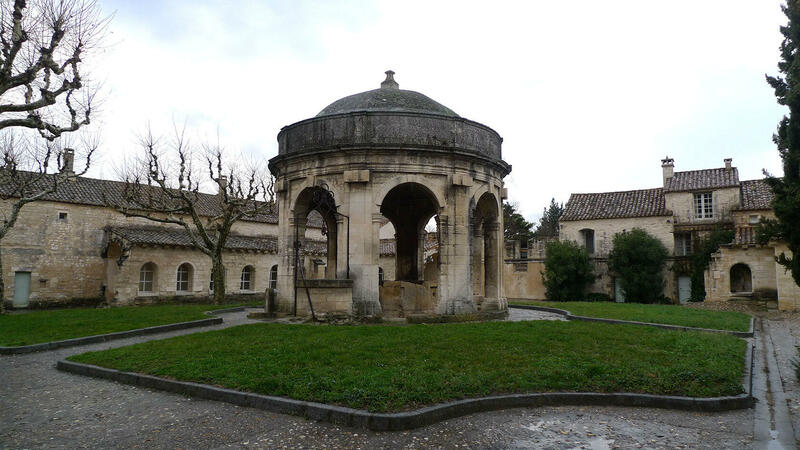 In 1353, property in Villeneuve-lès-Avignon was donated to the order of the Carthusian monks by Pope Innocent VI. 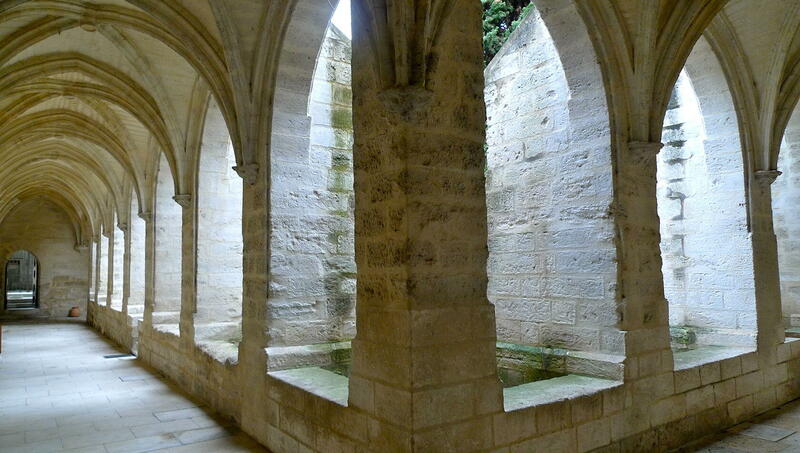 At its peak, La Chartreuse was the largest monastery in France with of close to 400 acres of agricultural land. The senior monks (fathers) led a contemplative life where they were physically and mentally solitary, in their devotion to the faith. It took almost 100 years for the government to buy back the majority of the property that had once made up this monastery, the last owner left in 1988. The buildings have been beautifully restored and the site is open in a limited fashion to visitors. La Chartreuse is state-owned and is the home of the Centre National des Ecritures du Spectacle (CNES). The property is used heavily by the CNES for visiting writers and groups working on visual productions. Click here for more photos. Market day in Villeneuve-lès-Avignon is Thursday mornings. Here, you will find a wide selection of produce from Provence and the Gard. Saturday mornings the flea market (brocante) is a great place to search for treasures that you need, and things that you don’t. Read: Exploring the Villeneuve-Lès-Avignon brocante for silver and an antique musket. Other sites to add to your visit to this interesting city are the Pierre de Luxembourg museum and the chapel of the Pénitents Gris. …Continue reading here for the contributor blog post and walking guide by An Englishman in Provence. 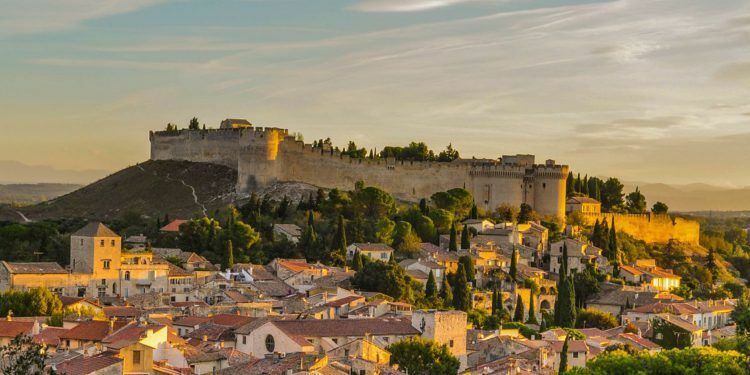 When the opportunity to move to Provence with his partner presented itself in early 2018, Phil Chandler jumped at the chance to escape from the rat race for himself. Leaving behind his own successful business in the UK to pursue a career as a freelance travel writer, blogger, aspiring photographer and content creator. 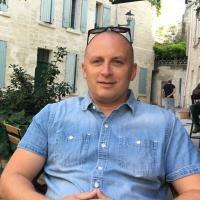 Since moving to Provence and adjusting to life as an expat, Phil enjoys his time exploring the area for its many amazing landscape photography vista's and views, while hiking cycling or canoeing. Documenting the adventures and mishaps of his journey over at his blog Englishman in Provence along the way.